Name Variation Franklin Jean Lyster was also known as Lester. Name Variation Franklin Jean Lyster was also known as Frank. Name Variation Franklin Jean Lyster was also known as Lister. 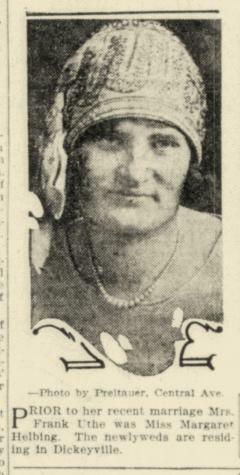 Franklin Jean Lyster married Hannah Nehimire. Franklin Jean Lyster was born on 5 November 1828 at Tennessee or Illinois. Franklin Jean Lyster died on 3 March 1888 at Grant, Wisconsin, at age 59. Franklin Jean Lyster was a undertaker in 1880. In 1881 FRANKLIN LYSTER, cabinet-maker and undertaker, Jamestown; was born in Illinois Nov. 5, 1828; he has 10-28/100 acres of land; probable value, $1,500. Public offices held by him: Justice of the Peace for fifteen years; Assessor seven years; was census enumerator in 1880; County Supervisor, and at present (1881) is County Coroner. Married Hannah Nehimire, who was born in Germany; they have eight children - Henry L., Frank M., Albert N., Mary C., Ellie H., Fannie F., John C., Maggie E. Settled in Jamestown, Wis., in March, 1856. In politics, Republican. Date of registration 31 Aug 1883. [S248] U.S. Federal Census 1860 U.S. Federal Census, by Ancestry.com, Page 85. Dwelling 615. [S247] U.S. Federal Census 1870 U.S. Federal Census, by Ancestry.com, Page 10. Dwelling 69. [S246] U.S. Federal Census 1880 U.S. Federal Census, by Ancestry.com, NA Film Number T9-1427 Page Number 160A. Married Name Her married name was Lyster. Name Variation Hannah Nehimire was also known as Nemmah. Married Name Her married name was Lister. Hannah Nehimire married Franklin Jean Lyster. Hannah Nehimire was born in April 1838 at Prussia or Germany. She died after June 1900. Hannah Nehimire immigrated in 1839. She had 12 with 8 living in 1900 children. [S245] U.S. Federal Census 1900 U.S. Federal Census, by Ancestry.com, ED37. Dwelling 48. Name Variation Henry Landon Lyster was also known as Landon. Name Variation Henry Landon Lyster was also known as Lister. Henry Landon Lyster was born circa 1854 at Illinois. He was the son of Franklin Jean Lyster and Hannah Nehimire. Name Variation Francis M. Lyster was also known as Lister. Name Variation Francis M. Lyster was also known as Frank. Francis M. Lyster was born in October 1860 at Wisconsin. Francis M. Lyster was a 1900 federal census enumerator (SUPV/DISTR: 2 ENUM/DISTR: 37) in 1900 at Jamestown, Grant, Wisconsin. Name Variation Mary C. Lyster was also known as Lister. Married Name 14 January 1891 As of 14 January 1891,her married name was Curtis. Mary C. Lyster was born circa 1865 at Wisconsin. She was the daughter of Franklin Jean Lyster and Hannah Nehimire. Mary C. Lyster married Thomas Curtis on 14 January 1891 at Grant, Wisconsin. Name Variation Ella H. Lyster was also known as Lister. Married Name 28 October 1896 As of 28 October 1896,her married name was Rogers. Ella H. Lyster was born circa 1867 at Wisconsin. Ella H. Lyster married Joseph E. Rogers on 28 October 1896 at Grant, Wisconsin. Name Variation Fannie F. Lyster was also known as Lister. Fannie F. Lyster was born circa 1869 at Wisconsin. Name Variation John C. Lyster was also known as Lister. John C. Lyster was born in September 1874 at Wisconsin. Name Variation Maggie E. Lyster was also known as Lister. Maggie E. Lyster was born in December 1877 at Wisconsin. Name Variation Frederick J. Lyster was also known as Fred. Name Variation Frederick J. Lyster was also known as Lister. Frederick J. Lyster was born in August 1882 at Wisconsin. Joseph E. Rogers married Ella H. Lyster, daughter of Franklin Jean Lyster and Hannah Nehimire, on 28 October 1896 at Grant, Wisconsin. Thomas Curtis married Mary C. Lyster, daughter of Franklin Jean Lyster and Hannah Nehimire, on 14 January 1891 at Grant, Wisconsin. William E. Minnick was born circa 1871 at Wisconsin. He was the son of Anton Minnick and Louisa (?). [S246] U.S. Federal Census 1880 U.S. Federal Census, by Ancestry.com, NA Film Number T9-1427 Page Number 166A. Austin Parker was born circa 1857 at Iowa. He was the son of Henry Parker and Emily Eubanks. [S246] U.S. Federal Census 1880 U.S. Federal Census, by Ancestry.com, NA Film Number T9-0354 Page Number 556A. Elsworth Parker was born circa 1862 at Iowa. Name Variation Helen Theresa Bonnet was also known as Bonnett. Married Name 18 June 1941 As of 18 June 1941,her married name was Uthe. Helen Theresa Bonnet was born on 7 March 1915 at Wisconsin. She was the daughter of Henry Bonnet and Teresa Hendricks. 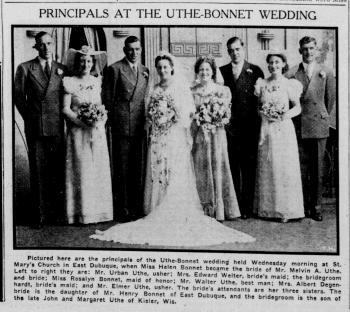 Helen Theresa Bonnet married Melvin A. Uthe, son of John Henry Uthe and Margaret Brant, on 18 June 1941 Helen Bonnet and Melvin Uthe wedding announcement; Helen Bonnet and Melvin Uthe wedding party. Helen Theresa Bonnet died on 28 March 2008 at age 93 Helen T. Uthe, 93, of 3410 Route 5 West, Hazel Green, died at 6:55 a.m. Friday, March 28, 2008, at Mercy Medical Center-Dubuque. Services will be at 10:30 a.m. Monday, March 31, at St. Mary's Church, East Dubuque, Ill., with the Rev. Jim Parker and the Rev. Cy Weisensel concelebrating. Burial will be in East Dubuque Cemetery, East Dubuque. Friends may call from 2 to 6 p.m. today, at Miller Funeral Home, 1185 Route 35 N., East Dubuque, where there will be a rosary and scripture service at 5:30 p.m. She was born on March 7, 1915, in Jamestown Township, Grant County, Wis., daughter of Henry and Teresa (Hendricks) Bonnet. She married Melvin "Mel" Uthe …. Name Variation Marian Graff was also known as Mary J. Graf. Name Variation Marian Graff was also known as Marian. Married Name 20 August 1941 As of 20 August 1941,her married name was Uthe. Marian Graff was born on 30 April 1916 at Dubuque, Iowa. She was the daughter of Jacob Graf and Mary Noel. Marian Graff married Walter Nicholas Uthe, son of John Henry Uthe and Margaret Brant, on 20 August 1941 Marian Graff and Walter Uthe engagement and marriage announcements. Marian Graff died on 13 September 2004 at age 88 Mrs. Walter N. "Skip" (Marian) Uthe, 88, of Dubuque, Iowa, died at 8 a.m. Monday, September 13, 2004, at The Finley Hospital in Dubuque. Family and friends called from 4 to 7 p.m., Wednesday, September 15, at Behr Funeral Home in Dubuque, where there was a parish wake service at 4 p.m. Funeral services were at noon, Thursday, September 16, at Holy Trinity Catholic Church in Dubuque. Burial was in Mount Calvary Cemetery in Dubuque. Mrs. Uthe was survived by two daughters, Lynn M. (Larry) Pape and Debra A. (Dan) Laugesen, both of Dubuque, Ia; seven grandchildren, Scott Pape, Penny (Dan) Nauman, Brad (Laura) Pape, Michele Brazier, Jennifer (David) Johanningmeier, Jodie (Chad) Grall and Tracey (Peter) Holt; 12 great-grandchildren; and two nieces. She was preceded in death by her husband, Walter "Skip" Uthe, and a sister, Mrs. Raymond (Dorothy) Ziel. She was buried after 13 September 2004 at Mount Calvary Cemetery, Dubuque, Dubuque, Iowa. Name Variation Elda M. Bertjens was also known as Bezer. Name Variation Elda M. Bertjens was also known as Beezer. Married Name 15 April 1947 As of 15 April 1947,her married name was Uthe. Elda M. Bertjens was born on 21 February 1925 at Kieler, Grant, Wisconsin. She was the daughter of Frank Bertjens and Madeline Brandt. 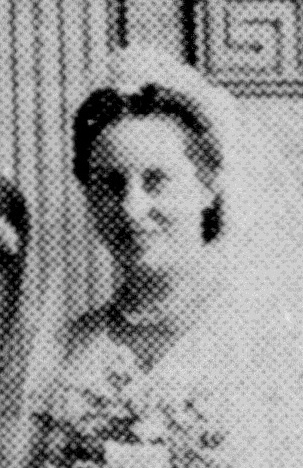 Elda M. Bertjens was the maid of honor at the wedding of Kenneth W. Johnston and Marie C. Bertjens on 29 July 1941 at Dubuque, Iowa; Marie Bertjens and Kenneth Johnston marriage announcement. 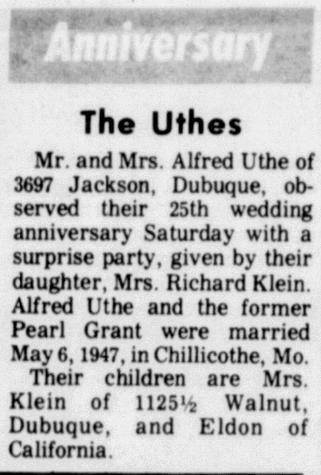 Elda M. Bertjens married Urban George Uthe, son of John Henry Uthe and Margaret Brant, on 15 April 1947 at Kieler, Grant, Wisconsin. Elda M. Bertjens died on 9 February 2016 at age 90 Elda M. Uthe, age 90, who almost reached her goal of 91 on the 21st, of Dubuque, IA, was called home peacefully at 1:20 p.m. on Tuesday, February 9, 2016, at home surrounded by her loving family. To honor Elda's life, funeral services will be held at 10:30 a.m. on Saturday, February 13, 2016, at Holy Spirit Parish, Holy Ghost Church, 2921 Central Avenue, with Rev. Dwayne J. Thoman officiating. To celebrate Elda's life, family and friends may visit from 4:00 p.m. until 7:00 p.m. on Friday, February 12, 2016, at Behr Funeral Home, 1491 Main Street, where there will be a parish scripture wake service held at 6:30 p.m. Burial will be in Mt. Calvary Cemetery. Elda was born on February 21, 1925, in Kieler, Wisconsin, daughter of Frank and Madeline (Brant) Bertjens. Elda was united in marriage to Urban G. Uthe on April 15, 1947, in Kieler, WI. They were blessed with 54 years before he was called home on August 4, 2002. She was primarily a proud homemaker who joyfully devoted her time to caring for and nurturing her family. She did, however, still find time to invest her talents at the Dubuque Packing Company, Washington Junior High, the Ham House and Riverboat Museums and the Redstone. Elda was naturally gifted in the kitchen and was considered an excellent cook and baker by all who had the privilege to sit at her table. She also enjoyed canning, gardening and was always ready for a good game of cards with family and friends. She was deeply adored and will be sadly missed by all who knew and loved her. Elda will be spending this Valentine's Day, and her birthday, in her heavenly estate with all of her dear loved ones who've been called home before her. Life's troubles and storms you have weathered, and shared days of joy in the sun. For years I've been working within you, now celebrate all I have done. Those left to cherish Elda's memory include her children, Janet Timmerman, Kieler, WI, Thomas (Bev) Uthe , Dubuque, IA and Bob Uthe , Decorah, IA; six grandchildren, Troy (Shannon) Timmerman, Robby (Rhonda) Timmerman, Jim (Laura) Uthe , Gina Uthe , Laura Uthe and Sara Uthe ; and nine great-grandchildren, Jaiden Timmerman, Gianna Timmerman, Lexi Bushaw, Tyson Timmerman, Thomas Kennedy, Taylor Kennedy, Urban Uthe , Clara Uthe and Wyatt Uthe . Elda was preceded in death by her parents; her loving husband, Urban Uthe ; a sister, Marie Bertjens Johnston; and a brother, Merlin Bertjens. She was buried after 9 February 2016 at Mount Calvary Cemetery, Dubuque, Dubuque, Iowa. [S250] U.S. Federal Census 1930 U.S. Federal Census, by Ancestry.com, Year: 1930; Census Place: Jamestown, Grant, Wisconsin; Roll: 2574; Page: 2A; Enumeration District: 22; Image: 335.0. Name Variation Imelda Bogarth was also known as Lolly. Married Name 1 December 1945 As of 1 December 1945,her married name was Uthe. Imelda Bogarth was born on 24 November 1921 at Iowa. She was the daughter of Matt Bogarth and Lena L. Weber. Imelda Bogarth married Elmer Charles Uthe, son of John Henry Uthe and Margaret Brant, on 1 December 1945. Imelda Bogarth died on 14 September 1983 at age 61 Mrs. Elmer C. (Imelda "Lolly") Uthe, 61, of Dubuque, Iowa, died at 11:14 p.m., Wedneday, September 14, 1983, at the family residence. Family and friends called until 9 p.m., Friday, September 16, at Behr's Funeral Home in Dubuque, where the parish wake service was held at 8 p.m. Funeral services were at 9 a.m., Saturday, September 17, at Sacred Heart Church in Dubuque, and burial was in Mount Calvary Cemetery in Dubuque. Mrs. Uthe was survived by her husband, Elmer; a daughter, Mrs. Lawrence (Marilyn) Herber, of Dubuque, Ia; two sons, Ronald G. Uthe and Michael D. Uthe, both of Dubuque, Ia; 10 grandchildren; two sisters, Mrs. John (Katherine) Dress, of Tucson, Ariz., and Mrs. Ray (Shirley) Lang, of Dubuque, Ia; and a brother, George Bogarth, of Dubuque, Ia. She was buried after 14 September 1983 at Mount Calvary Cemetery, Dubuque, Dubuque, Iowa. 1 January 1925 Dubuque, Dubuque, Iowa Imelda Bogarth appeared on the census of 1 January 1925 in the household of Matt Bogarth at Dubuque, Dubuque, Iowa; surname listed as Bogardth. Imelda Bogarth obtained US Social Security Card at Iowa; last residence Dubuque, Dubuque, Iowa. [S250] U.S. Federal Census 1930 U.S. Federal Census, by Ancestry.com, ED36. Dwelling 576. Married Name 6 May 1947 As of 6 May 1947,her married name was Uthe. Pearl Grant was born circa 1921. She was the daughter of (?) Grant and May (?). Pearl Grant married Alfred M. Uthe, son of John Henry Uthe and Margaret Brant, on 6 May 1947. Pearl Grant died on 4 June 1983 Mrs. Pearl Uthe, 62, of Dubuque, Iowa, died at 7:30 p.m., Saturday, June 4, 1983, at The Finley Hospital in Dubuque. Family and friends called from 3 to 9 p.m., Monday, June 6, at the Egelhof-Casper-Strueber Funeral Home in Dubuque. Services were at 10 a.m., Tuesday, June 7, at St. Peter's Lutheran Church in Dubuque, and burial was in Linwood Cemetery in Dubuque. Mrs. Uthe was survived by a daughter, Mrs. Richard (Jane) Klein, of Dubuque, Ia; two granddaughters; and her mother, Mrs. May Grant, of San Bernardino, Calif. Her husband, Alfred, died in 1974, and a son, Eldon Uthe, died in 1982. On 10 May 1972 Alfred and Pearl (Grant) Uthe 25th wedding anniversary. Name Variation Margaret Helbing was also known as Margaretha. Married Name 6 February 1928 As of 6 February 1928,her married name was Uthe. Married Name October 1961 As of October 1961,her married name was Schroeder. Margaret Helbing was born on 13 September 1908 at Wisconsin. She was the daughter of Anthony Adam Helbing and Christine Hentrich. Margaret Helbing married Frank J. Uthe, son of John Henry Uthe and Margaret Brant, on 6 February 1928 Margaret Helbing and Frank Uthe marriage announcement. Margaret Helbing married Raymond Henry Schroeder in October 1961. Margaret Helbing died in June 1991 at age 82 Margaret Uthe died in 1991, and she was buried in the Immaculate Conception church cemetery in Kieler, Wisconsin. She was buried in June 1991 at Immaculate Conception church cemetery, Kieler, Grant, Wisconsin. [S244] U.S. Federal Census 1910 U.S. Federal Census, by Ancestry.com, Year: 1910; Census Place: Paris, Grant, Wisconsin; Roll: T624_1711; Page: 5B; Enumeration District: 0039; Image: 357; FHL Number: 1375724. [S243] U.S. Federal Census 1920 U.S. Federal Census, by Ancestry.com, Year: 1920;Census Place: Paris, Grant, Wisconsin; Roll: T625_1988; Page: 7A; Enumeration District: 118; Image: 296. [S250] U.S. Federal Census 1930 U.S. Federal Census, by Ancestry.com, Year: 1930; Census Place: Jamestown, Grant, Wisconsin; Roll: 2574; Page: 1A; Enumeration District: 22; Image: 333.0; FHL microfilm: 2342308. [S373] U.S. Federal Census 1940 U.S. Federal Census, by Ancestry.com, Year: 1940; Census Place: Jamestown, Grant, Wisconsin; Roll: T627_4481; Page: 9A; Enumeration District: 22-22. Raymond Henry Schroeder married Margaret Helbing, daughter of Anthony Adam Helbing and Christine Hentrich, in October 1961. Name Variation Roslyn Hinderman was also known as Roseline. Married Name 26 February 1935 As of 26 February 1935,her married name was Uthe. Married Name 18 April 1972 As of 18 April 1972,her married name was Miller. 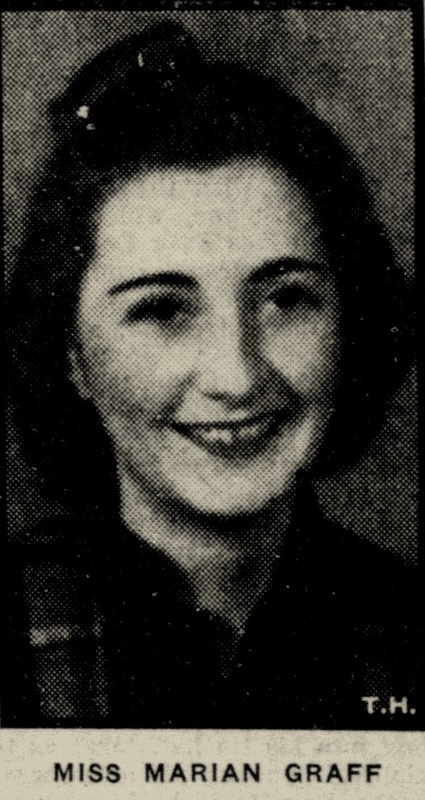 Roslyn Hinderman was born circa 1916 at Wisconsin. She was the daughter of Valentine Hinderman and Magdalena Thor. 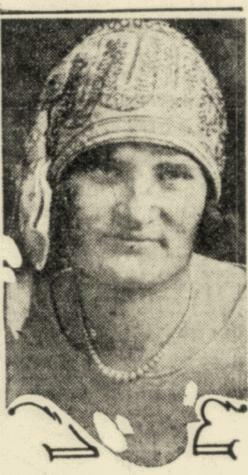 Roslyn Hinderman married Wilbert Joseph Uthe, son of John Henry Uthe and Margaret Brant, on 26 February 1935. Roslyn Hinderman married Frank G. Miller on 18 April 1972. Roslyn Hinderman died on 8 December 1992 Roslyn Uthe Miller, 76, of White Street in Dubuque, Iowa, died at 3:29 p.m., Tuesday, December 8, 1992, at Mercy Health Center, St. Joseph's Unit, in Dubuque. Family and friends called from 2 to 8 p.m., Thursday, December 10, at Behr Funeral Home in Dubuque, where a parish wake service was said at 4 p.m. Funeral services were at 9:30 a.m., Friday, December 11, at Holy Ghost Catholic Church in Dubuque, and burial was in Mount Calvary in Dubuque. Mrs. Uthe was survived a daughter, Mrs. William J. (Doris M.) Malone, of Dubuque, Ia; two sons, Daniel J. (and Cheryl) Uthe and David W. (and Catherine) Uthe, both of Dubuque, Ia; 13 grandchildren and 12 great-grandchildren; and a sister, Mrs. Jean Meehan, of Dubuque, Ia. A son, John Uthe, died in 1943. [S243] U.S. Federal Census 1920 U.S. Federal Census, by Ancestry.com, Year: 1920; Census Place: Paris, Grant, Wisconsin; Roll: T625_1988; Page: 7B; Enumeration District: 118; Image: 297. [S250] U.S. Federal Census 1930 U.S. Federal Census, by Ancestry.com, Year: 1930; Census Place: Paris, Grant, Wisconsin; Roll: 2574; Page: 9A; Enumeration District: 37; Image: 583.0; FHL microfilm: 2342308. Name Variation Frank G. Miller was also known as F. G.
Frank G. Miller was born on 6 November 1903. He married Roslyn Hinderman, daughter of Valentine Hinderman and Magdalena Thor, on 18 April 1972. Frank G. Miller died on 10 May 1985 at age 81. On April 18, 1972, Roslyn Uthe married Frank G. Miller. Frank Miller was born on November 6, 1903. Frank G. Miller, Sr., 81, of Dubuque, Iowa, died on May 10, 1985. Name Variation Mary Helen Langen was also known as Lagan. Married Name 18 May 1920 As of 18 May 1920,her married name was Uthe. Mary Helen Langen was born on 22 September 1895 at Dubuque, Iowa, also reported as Aug 1895. She was the daughter of Theodore Langen and Anna M. Rey. Mary Helen Langen married Karl Joseph Uthe, son of John Henry Uthe and Christina Loffelholz, on 18 May 1920. Mary Helen Langen died on 31 October 1956 at age 61 Mrs. Karl "Charles" (Mary Helen) Uthe, 61, of Elm Street in Dubuque, Iowa, died at 9:30 a.m., Wednesday, October 31, 1956, at Mercy Hospital in Dubuque, after a brief illness. The Rosary was recited at 8:15 p.m., Thursday, November 1, at Behr Funeral Home in Dubuque. Funeral services were held at 10 a.m., Friday, November 2, at Holy Ghost Church in Dubuque. Burial was in Mount Calvary Cemetery in Dubuque. Mrs. Uthe was survived by her husband, Charles, and two sons, Charles Uthe and Frederick Uthe, both of Dubuque, Ia. She was buried after 31 October 1956 at Mount Calvary Cemetery, Dubuque, Dubuque, Iowa. [S250] U.S. Federal Census 1930 U.S. Federal Census, by Ancestry.com, Year: 1930; Census Place: Julien, Dubuque, Iowa; Roll: 654; Page: 4A; Enumeration District: 36; Image: 295.0. David Cottle was born on 10 December 1866 at Albany, Whiteside, Illinois. He was the son of Captain David Cottle and Priscilla Macy Coffin. [S246] U.S. Federal Census 1880 U.S. Federal Census, by Ancestry.com, NA Film Number T9-0259 Page Number 200D. Married Name Her married name was Story. Eunice M. Cottle married William Story. Eunice M. Cottle was born in August 1859 at Illinois. She was the daughter of Captain David Cottle and Priscilla Macy Coffin. Eunice M. Cottle witnessed the burial of Priscilla Macy Coffin after 9 January 1899; Mr. and Mrs. W H. Story, of Monee. III., came to Fulton to attend the funeral of Mrs. Story's mother, Mrs. David Cottle. William Story married Eunice M. Cottle, daughter of Captain David Cottle and Priscilla Macy Coffin. William Story was born circa 1851 at New York. He witnessed the burial of Priscilla Macy Coffin after 9 January 1899; Mr. and Mrs. W H. Story, of Monee. III., came to Fulton to attend the funeral of Mrs. Story's mother, Mrs. David Cottle. Hubert Story was born circa January 1880 at Illinois. He was the son of William Story and Eunice M. Cottle. Sarah Elizabeth Cottle was born circa 1865 at Illinois.